The BeaverFit ® Commander Indoor FTR (Functional Training Rig) is one of the most popular rigs and has proved very popular with everyone from individual fitness enthusiasts to the British military. It is durable and robust, quick and easy to build, dismantle, store and transport and will fit into the back of a transit van. Ideal for functional fitness and group training. 2 x Integrated Squat Racks. Quick and easy assembly in just 20 minutes. Allows to train up to 10 people simultaneously. Two aggressive wings that allow for extra pull up space. 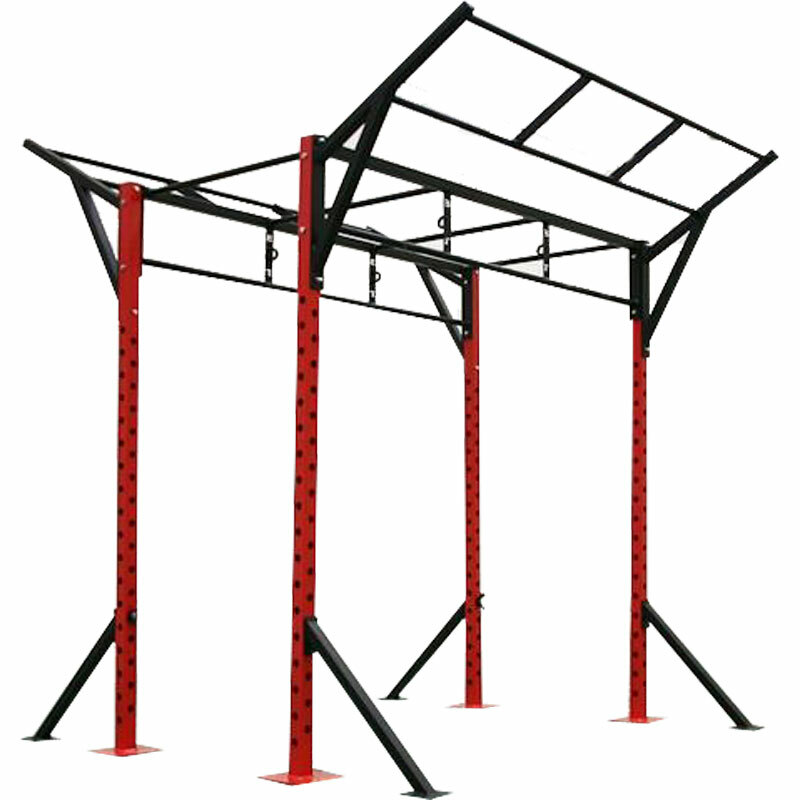 The monkey bars are far enough apart to allow pull ups inside the FTR. Additional workout possibilities can be created by purchasing a BeaverFit Power Rack (Order separately). Commander FTR Dimensions - H 288cm x W 288cm x D 250cm. BeaverFit Functional Training Rigs are designed and manufactured for all types of fitness training. They can be installed and galvanised to ISO standards for outdoor use at an additional cost, inclusive of a 5 year warranty. Additional training courses from the BeaverFit ARMED Academy are available and if these are of interest to you please email [email protected] for additional information.